- ЕВРОПА: Великобритания, Франция, Италия, Испания, Германия, Австрия, Кипр, Греция, Мальта и другие страны. - АЗИЯ: Таиланд, Мальдивы, Филиппины, Малайзия, Сингапур и другие страны. - ОСТРОВНАЯ НЕДВИЖИМОСТЬ: страны Карибского бассейна, Гавайские острова, Канарские острова, Французская Полинезия, Куба и другие страны. - БЛИЖНИЙ ВОСТОК: ОАЭ, Турция, Египет, Иордания. 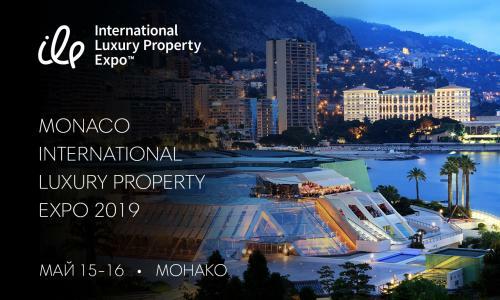 The Monaco International Luxury Property Expo 2019, the world’s central B2C exhibition for upscale international real estate, will be held 15-16 May 2019 at the Grimaldi Forum in Monaco. - THE MIDDLE EAST: The UAE, Turkey, Egypt, and Jordan. - Income-generating real estate (rental, investment properties). The Monaco International Luxury Property Expo will be attended by individual home buyers from 25 countries, as well as by top real estate agents, investors, and the world's leading developers. The event is organized in partnership with the government of the Principality of Monaco. The MILP Exhibition is the 16th project in the IELP series. Between 2016 and 2018, IELPE events were held around the world, including Shanghai, Mumbai, Moscow, Kyiv, Cannes, Almaty, and Baku. Interviews with exhibitors and attendees and their feedback on the event can be viewed here.